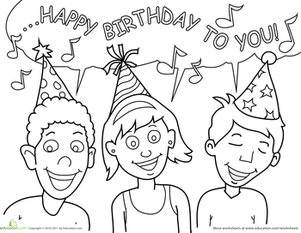 Here's a great coloring sheet for your next birthday party. 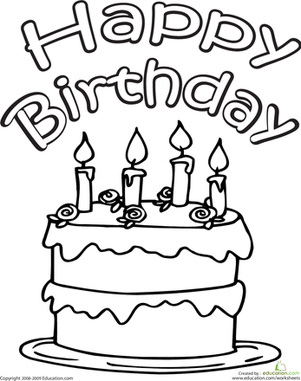 It features a "Happy birthday!" 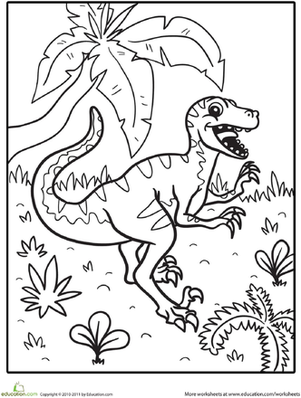 dinosaur greeting. 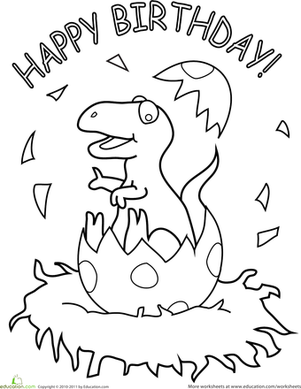 If you know a dinosaur-lover whose birthday is coming up, this sheet can also double as a special card. 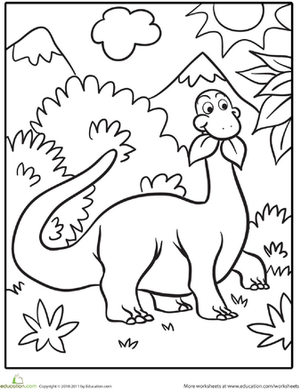 Go HereTo find more birthday coloring sheets. 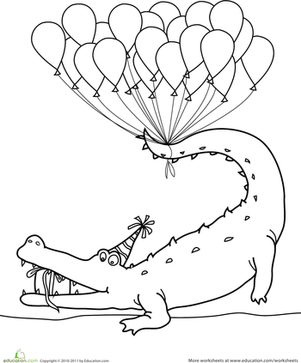 Want to send a flowery shower of Birthday cheer? 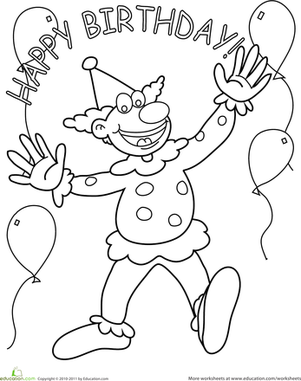 colour and share this special greeting as a Happy Birthday treat for someone special! 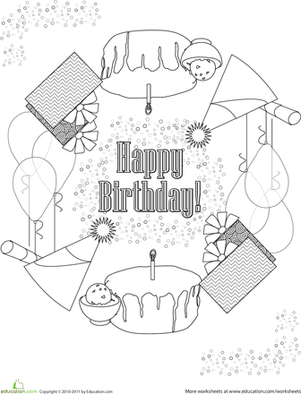 What better way is there to say "Happy Birthday" than with a fun, party-themed mandala? 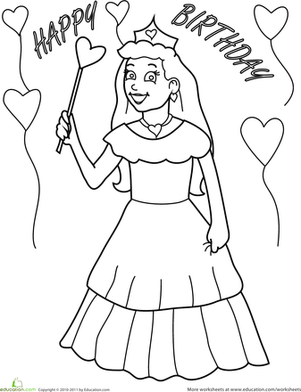 Say Happy Birthday to a special someone with this cute DIY printable! 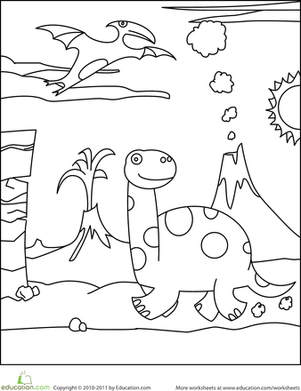 Perfect for any little horse-lover, your child can colour the card herself.